Children, adults and old people, everyone greeted me: “hello Mr, hello Mr” every time I stopped at a place to rest, eat something or while cycling all along the country. At first I thought: “nice people”, but then “hello Mr” became a nightmare. “Hello Mr” said the first Indonesian who I met when I disembarked from the ferry in Sumatra. “Hello Mr” said each of the 15 customs officers who did a detailed control of my belongings. Since then, I began to hear “hello Mr” from everybody, adults and children, every time I stopped at a place to rest, eat something or while cycling all along the country. Indonesia has a population of 250 million inhabitants, there are no desolate routes but plagued by traffic that can hardly go on narrow roads. The vehicles must brake repeatedly to make way to the others who travel in opposite direction. In many places, these terrible roads are called highways. Cycling through Sumatra and Java Islands with no road verge, stunned by the horns and the typical Indonesian greeting was stressful. I have listened “hello Mr” every 20 or 25 mt, from every house and all directions, sometimes in chorus. I intend to say that it never was less than 3000 or 4000 times per day! Maybe this has been the reason why “Hello Mr” became a nightmare. It was 4 am and I slept at the garden at the back of the school situated on the outskirts of a town that I had crossed. There was no hotel, so I talked to the locals who took me to ask permission from the principal. It was the perfect choice to spend the night, the area was fenced and had security. It had been a long day, hot and hard for me; I had gone through several mountains and heard the “hello Mr.” more than ever. After putting the tent, I had a wash in the schoolyard and cooked pasta that I shared with 3 curious neighbors. Then I went to bed. That night I dreamed I was surrounded by a crowd who didn’t let me leave and shouted persistently “hello Mr., hello Mr.” I woke up excited and transpired, but I noticed it was not just a nightmare, because through the net I see a white and potent light facing me and saying, “Hello Mr.”! Thereby each night I arrived to a city in Sumatra and found a boarding house, I found it a blessing, and if electric power was not cut and I could sleep the entire night with the fan on, it was a gift from God. The Sumatra maps I had were very simple; their scales showed half distance what it really was. The routes went up and down all the time, with curves and counter-curves. It was the first time I didn’t find online maps of a “developed” region. In Sumatra I felt adrift. When I arrived to Bukittinggi one guy came closer to me with his motorbike and said: “hello Mr do you need help”. So I asked him to take me to the hotel I was looking for. But the guy took me around the entire town, played horn to every car in order to make way for me. He was very proud for guiding me, he wanted his friends see us together. During my stay in Bukittinggi I hardly saw a couple of tourists. 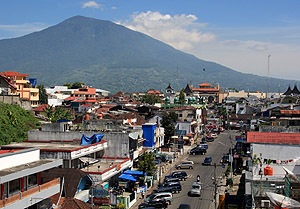 According to the receptionist of my hotel, Bukittinggi was one of the mainly stop for tourists who traveled through Southeast Asian, but during the last years, due to a number of natural phenomena such as earthquakes and tsunamis, it has been forgotten together with others Sumatra destinations. 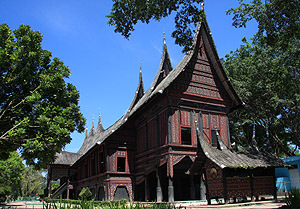 Bukittinggi has dozens of affordable accommodation, and it is the ideal base for excursions to volcanoes, tours at the Sianok Canyon or to visit the Danau Maninjau, a volcanic lake. During my stay I traveled around the whole area, visiting rice fields, unusual village and forests. But with the purpose of having a rest I rented a motor bike and thereby during those days I felt Lorenzo Lamas. In Sumatra I also learned some words in Bahasa Indonesia, the country’s official language, like tidak padas and tidak chave, what mean non-spicy, not chili. An Indonesian guy also wrote them for me so when I went to a restaurant, not only I said them but I showed the paper and even I did the mimicry to be perfectly clear. But most of the time it was worthless, and they said that there was little spicy or they had forgotten. I became angry. On many occasions, I refused to eat and asked them to cook again. Fortunately they did it. 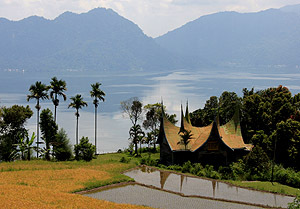 People in Sumatra were very nice but to travel there was so exhausting. I arrived to Jakarta after cycling 120 km from Merak, the port that connects Java Island to Sumatra. Jakarta is the capital city of the country and its population is 18 million inhabitants, considering the metropolitan area. The entrance to this city was the most chaotic I had in the whole continent, much worse than Delhi or Calcutta city in India. The roads to the city were completely blocked, it was the world’s worst traffic jams I had been, the only vehicles that could circulate were motorcycles and me. We always did it against the traffic on the other side of the road. Even so, it took me 2 hours to reach destination, and I could managed to do it due to I had the Java Island map on my navigator phone, it was essential! Upon my arrival I stayed on Bike2work, an association of cyclists which exists in the whole country. 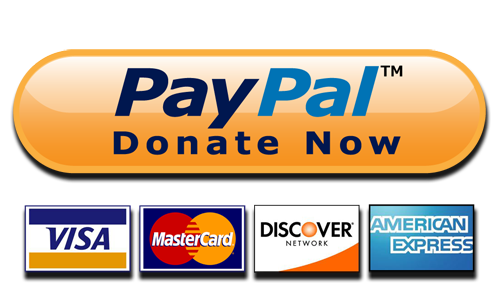 They provided me with an air-conditioning room, Internet service and even I had the chance of cooking. They treated me very well, I could rest and work in peace and none said to me “hello Mr”. Then I contacted Lucio Costarrosa, the Director of Tenaris Indonesia, a metallurgical company from the Argentine group Techint, which manufactures steel pipes for the oil industry. As in other countries, Tenaris made a contribution to the project: “Around the World by Bike”. I was also welcomed by Sebastian Palou and Martin Via from the Argentina Embassy who established contacts with the media and others embassies to process my visas. During the last days I visited the Istiqlal Mosque, the largest Mosque in Southeast Asia which holds 120,000 faithful. Unlike other mosques I visited, the main floor was divided by a partition separating men from women during prayer. I was surprised how many women were there. Finally I visited the Kota area, the old town and the harbor. But I got lost and had to follow the advice of local people to return to the main street. So I went through dirt roads, skirting a small river with its water completely rotten. Under the bridge there were houses made of cardboard and nylon, some were just boxes. I didn’t want to look, out of consideration. I was also scared. They lived in abject poverty. So, it came to my mind images from South America, unlike that here the people smiled and greeted me. I left Jakarta by ship, I didn’t have time to cross the entire island of Java, and I was not interested either. So I took a ferry to Surabaya, by Pelni company. Fortunately when I bought the ticket at the head office there was a promotion and the ticket seller offered me just for few dollars more than the cheapest price, to travel on first class, in a private cabin. When I boarded the ship and saw the pile in which people traveled, I felt like a king, even if I had to kill at least 20 cockroaches in my room. Once in East Java everything was different, the rain that had followed me throughout Sumatra disappeared. 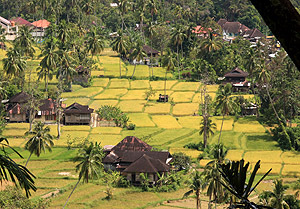 The road conditions improved, the traffic car decreased and the small towns gave rise to vast rice fields which combined their color between golden green and yellow dry. On the way to Bali I stopped in Probolinggo, from where I visited Semeru National Park, the biggest attraction of East Java. Its main protagonist is the Gunung Bromo, an active volcano 2300m-high, which is flanked by two other peaks which also emerge from the Tengger massif. The entire place is an amazing volcanic landscape. I arrived to Bali thinking I would find the tropical paradise, but I was disappointed. I visited Dreamland, Padang Padang and Nusa Dua beaches, which had been described to me among the best. I also went to Sanur and Kuta beach, where I was warned about its polluted waters. Bali seemed mere publicity. 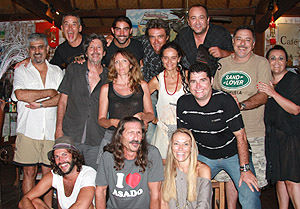 Fortunately I found a group of Argentineans living in Bali; Leti, Pablo, Clelia and Chispa, among others, all of them were nice. But Marcel and Alejandra are who I most remember, because they were the first ones who received me after this hard journey across the country. 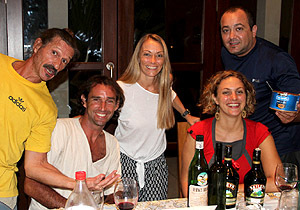 That day I cycled 143 km and on my arrival I was invited to have dinner at their house. Alejandra cooked milanesas and I was also honored with caramel custard with dulce de leche and Havanna cakes which Pablo had brought me. How was it? Even the lettuce was delicious. Pablo te admiro desde el dia uno que escuche tu historia. Tus articulos son inspiracion y ademas con un sentido del humor unico. Ojala algun dia nos podamos cruzar en Argentina. Abrazo enorme de dos cicloviajeros.